I often tell my corporate clients that it’s more important to understand what each individual needs to perform their job well, rather than understand why people leave one company for another. It’s a fine distinction, but it’s an important one that helps reframe the costly problems of poor retention and poor performance. But it’s when I work with individuals to help them make important career decisions that I always ask them to tell me the best reasons to stay with their current organization and the best reasons to leave. The reason I talk about performance with organizations and about leaving with individuals is that if organizations do the things that enable each individual person to be really good at their job, then that person will stay. People who want to leave are past caring about how well they are doing. These people are no longer engaged in their work, and performance is not a factor in their decision to stay or leave. What keeps you at your current organization? What helps you perform at your best? The best research into why people stay at a company has been telling us the same thing for almost 30 years. People stay for one of three reasons: they identify with, or have an emotional attachment to, the organization; they feel obligated to stay; or, for the moment, it costs more to leave than to stay. Once we understand these reasons, we can make better decisions about our own careers, and organizations can become more effective at improving performance rather than just ensuring commitment. Having some emotional attachment to an organization, usually because it represents some of our own values and beliefs, is more common in countries where people are the happiest and most extroverted. 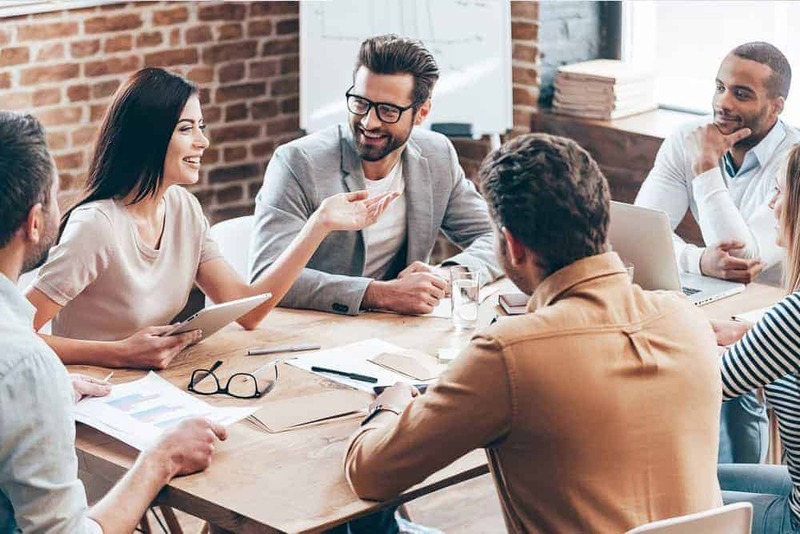 However, many organizations expend considerable resources to socialize employees to corporate values in order to, among other things, increase emotional attachment. Time and money could be spent elsewhere if organizations accepted that feeling an emotional attachment to a company is more about where we live and our personalities, rather than the company itself. Sometimes we stay at an organization, even when we want to leave, because we feel obligated to someone, or we feel somehow indebted to the organization. You might have great relationships with your boss, coworkers or direct reports, and believe leaving the organization would create hardship or negatively impact these relationships. Or, maybe, you feel indebted to the organization because its policies helped you in a meaningful way; like providing a scholarship for your children or generous time off when a parent died. Feeling obligated is normal, and it’s up to you to decide if an obligation becomes a burden. One of the forms of organizational commitment that many of us can relate to is continuance commitment. This is all about our self-interest and our calculation that we’re better off staying with our current organizations, for the time being, until something better comes along. Perhaps, the best thing that each of us can do is develop non-judgmental awareness of why we’re staying at an organization. Awareness of our situation often leads to awareness of our individual choices. If we’re not satisfied with our current choices, there is often a lot we can do to create more choice. It’s likely more efficient for organizations to try to increase engagement than commitment. The challenge, however, is that the study of engagement is relatively new, compared to the decades of research into organizational commitment. Therefore, many organizations try to improve engagement by doing many of the things that, at best, can only increase commitment. Engaged employees are enthusiastic, satisfied and involved in their jobs. Early research shows that employee engagement is correlated to higher performance. While engaged employees are likely committed to the organization, committed employees are not necessarily engaged. This means that engaged employees will perform well and stay, whereas employees who are only committed just won’t leave. Recent studies of employee engagement show that anywhere from 30 to 85 percent of workers are disengaged. But since this research is so new, it’s not really clear what engagement is and how to improve it. Although many products and services are being developed to assess and increase employee engagement, time will tell if these new approaches actually work. Regardless of all the theories, definitions and research, what always seems to work is getting to know people as individuals. When we accept that everyone’s relationship with their job and organization is unique, and every organization is unique, then we can figure out what we can cost-effectively do to keep each person engaged in their job. This is asking a lot of an external consultant, but it’s well within the grasp of every organization, every leader, and each of us.